One of the great things about working in the legal outsourcing business is that, because it is so new, the rules keep changing. I’ve already written about how the LPO ‘tipping point’ keeps eluding us because the customers are demanding more and the service providers are delivering more. But what about when the ‘service provider’ is part of the internal organisation? Is this a viable alternative to engaging with an LPO provider, and will it provide the flexibility and reduction in costs that users of LPO typically seek? Well, here’s the thing. There is, in the beautiful city of Newcastle-upon-Tyne, a team of 60 people providing transactional legal services to its parent organisation, Carillion plc. Not only does it do everything that you would expect an LPO provider to do, but it also works hand-in-hand with the company’s panel firms (delivering 8,800 hours of advice in 2013), and even takes in work from those firms’ own clients. The operation has so far saved Carillion in excess of £1 million. CAS, as it is known, was set up in 2011 when Carillion acquired Eaga plc. The team (it is expected to be up to 80 by the end of this year), are typically graduates, often with LPC and formal paralegal training, whilst the CAS organisation as a whole has Lexcel accreditation. The centre’s tasks include document review, disclosures, contract reviews, employment advice, legal research, and setting up of Data Rooms. 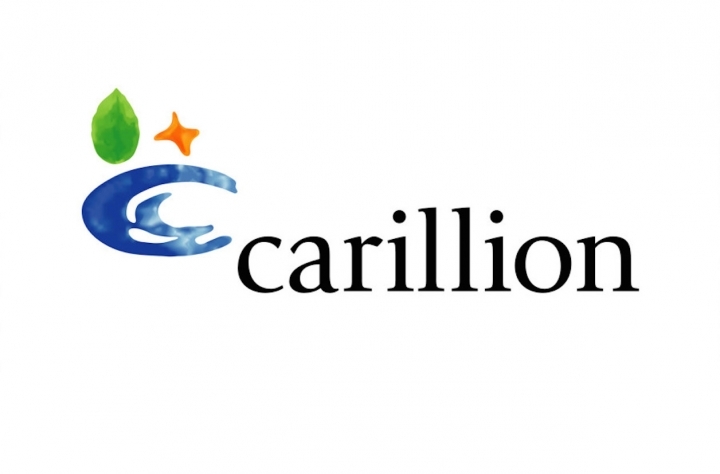 Work is taken from Carillion’s internal legal team as well as the 12-strong legal panel. To be on the panel, each firm has to agree to pass at least 15% of its volume back through CAS. If they can’t find enough Carillion work then the firms have to look to their own clients as a source. Most of the work is done on Fixed Price. I was generously allowed a tour around the facility this summer, hosted by the centre’s Head of Department , Lucy Nixon and Operations Coordinator, Charlotte Cale. As an outsourcing consultant visiting an in-house operation, I had brought with me a healthy dose of cynicism. I’m pleased to say that cynicism was quickly discarded. Purely from the superficial evidence, and compared to many of the LPO operations I’ve seen in my time, the CAS offices were a breath of fresh air, exhibiting a very relaxed but professional atmosphere. But it is the underlying operation of the place that makes CAS so different. As you would expect, every process is mapped to within an inch of its life, with everything reviewed and refreshed every 6 months by the teams that actually do the work (and, importantly, not a specialist business process team). But this doesn’t lead to inflexibility and rigidness: if one of their customers asks for something new to be be done then, as long as it doest breach any regulations, they will give it a go. The customer will understand that this is essentially a trial, but the work ethic and motivation of the staff is such that the job will be done just as well (but less expensively) as if they had gone elsewhere. It is this ability, and attitude, to constantly adopt new processes that has been at the centre of the operation’s growth. Being able to react quickly to customer demand, rather than building services and hoping ‘they will come’, has given CAS a unique competitive edge over external providers. But it is not just about flexibility – if the work wasn’t being done well then the customers wouldn’t demand more in the first place. It was clear to me that there is a high level of trust between the centre’s customers, whether they be the internal Carillion team or the panel firms, and CAS. This trusting relationship seems to me to be the ’secret ingredient’ of CAS. Getting the ’15% or pay’ policy to work requires a whole lot more than a series of processes and some governance: it requires people from both sides to work hard at building trusting relationships. The management team and staff at CAS seem to have a knack of doing this rather well. By hiring the right people in the first place and then creating a fitting culture to work in has gone a long way to ensure the success of CAS. So, will Carillion’s internal managed legal service centre have any impact on the wider legal services market? Much of CAS’s success is down to the vision of Richard Tapp, Carillion’s Director of Legal Services. He took the operation from an outsourced model to the in-house version we see today, and its future will depend heavily on how he wants to expand the services. CAS would certainly be seen as a viable competitor to traditional LPO providers. Having that onshore capability and (admittedly) one key client has allowed CAS to step above the normal LPO fare to deliver a higher level of flexibility and interaction than would normally be possible with third party relationships. But CAS also competes with the panel firms who have their own transactional centres (including Addleshaw Goddard and Ashurst). Whether that will start to strain the relationship in years to come will need to be seen, but my feeling is that CAS has the wherewithal to hold its own. There are, apparently, no plans for CAS to apply to become an ABS. Carillion has its own 30-strong legal team, and with this strong corporate connection there is really no need to step out into the big bad world with a commercial legal offering (although CAS already offer external commercial services for third party clients of the panel firms and are providing services for some law firms who are not on the panel). They are in the process of discussing their offering with a number of corporate clients which makes sense, so it is certainly worth going through that thought experiment at regular points in the future, especially as that external provider market is far from settled down. I do think that there are opportunities for CAS to exploit technology more. They have a very capable case management system, but further (and significant) benefits could be realised through automation. This would make CAS even more competitive and enable further growth. But that shouldn’t distract from what Richard, Lucy, Charlotte and the team have built over the past three years. CAS should be seen as a role model not only for in-house legal managed services, but for all in-house managed service operations. The secret ingredient of being able to constantly manage and adapt what could be tricky internal and external relationships has ensured that CAS can consistently deliver quality services to its customers. There is a management consulting adage that advises ‘do one thing well’, and it seems that’s exactly what CAS are doing.